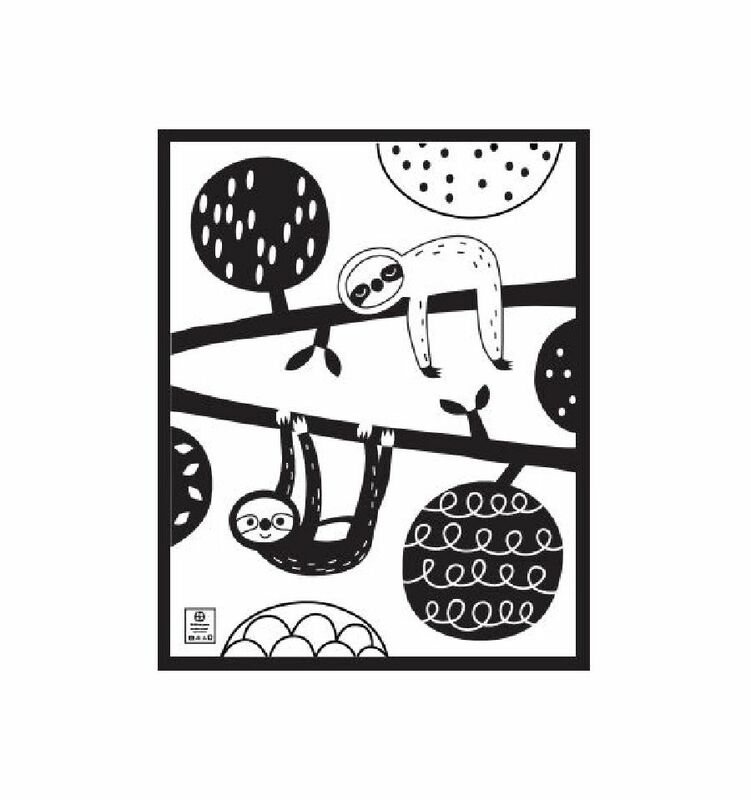 Lovely soft baby blanket in black and white print with sloth (80 x 100 cm). 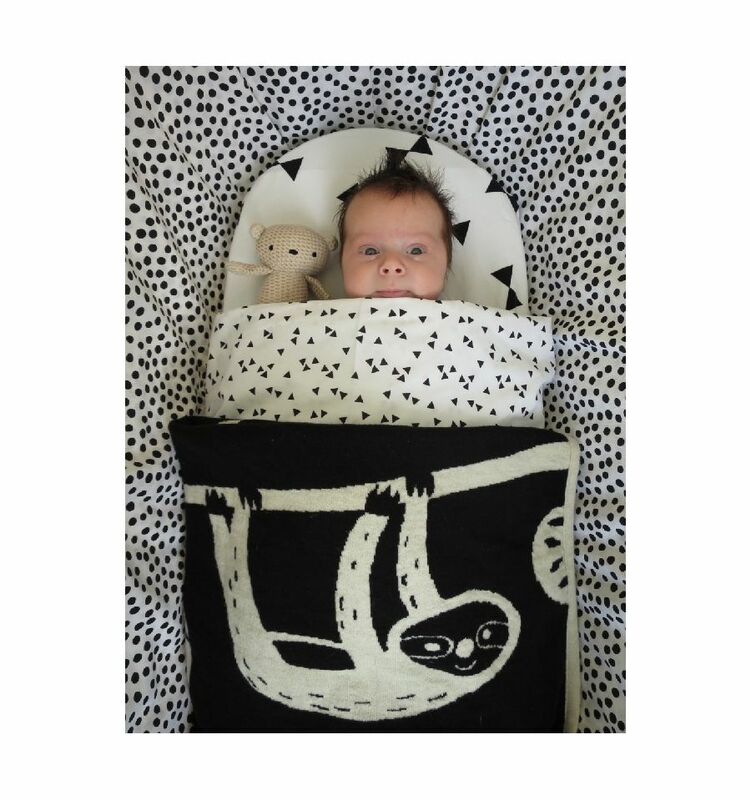 Lovely soft baby blanket in black and white print with sloth. The blanket can be used on both sides. The blanket is made of 100% organic Merino wool. 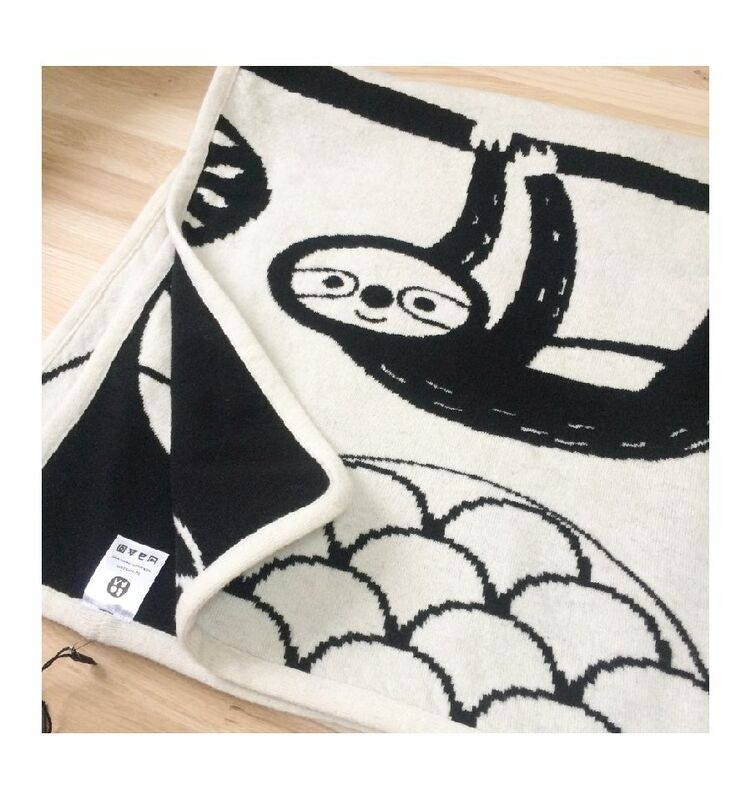 Who would not want to sleep under such a wonderfully soft sloth! The blanket is packaged in a beautiful gift box, extra nice to get (or give). 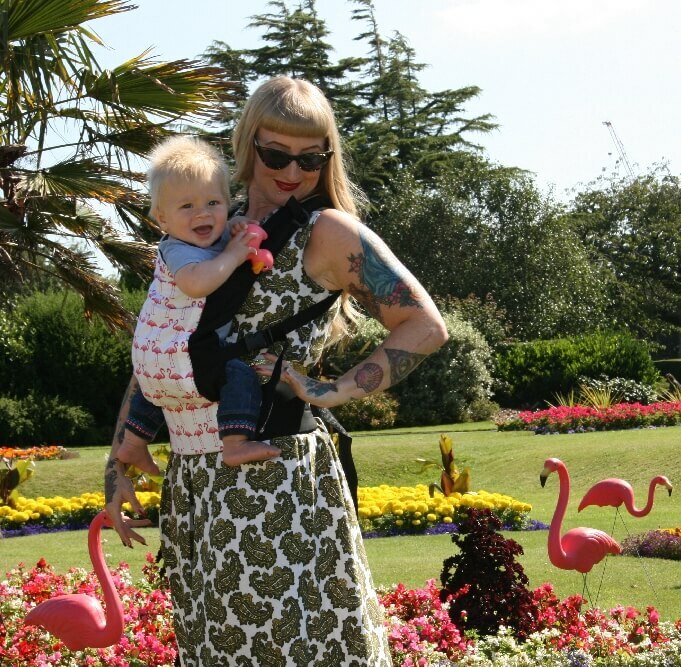 Wool is a great material for our little ones. 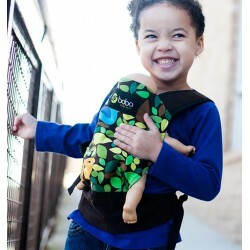 It regulates the temperature so that your baby is warm but can not overheat. 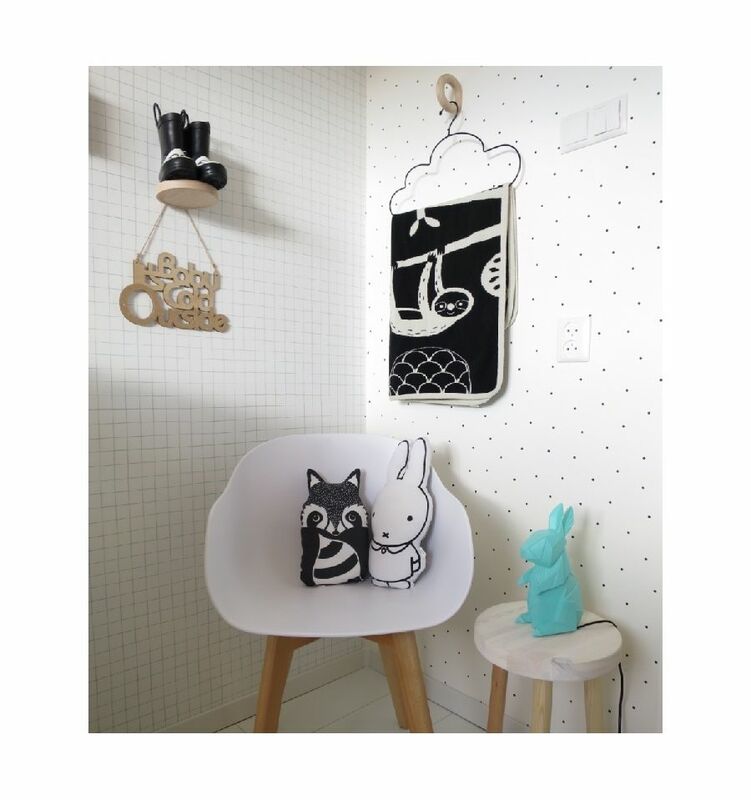 Wool is hyper-allergenic, wool is naturally fire-retardant and easy to clean. The blanket is very qualitative and can last a lifetime. A lovely blanket for sleeping, playing or hanging on the couch. When used, this blanket is even softer than it already is! The blanket is GOTS certified. 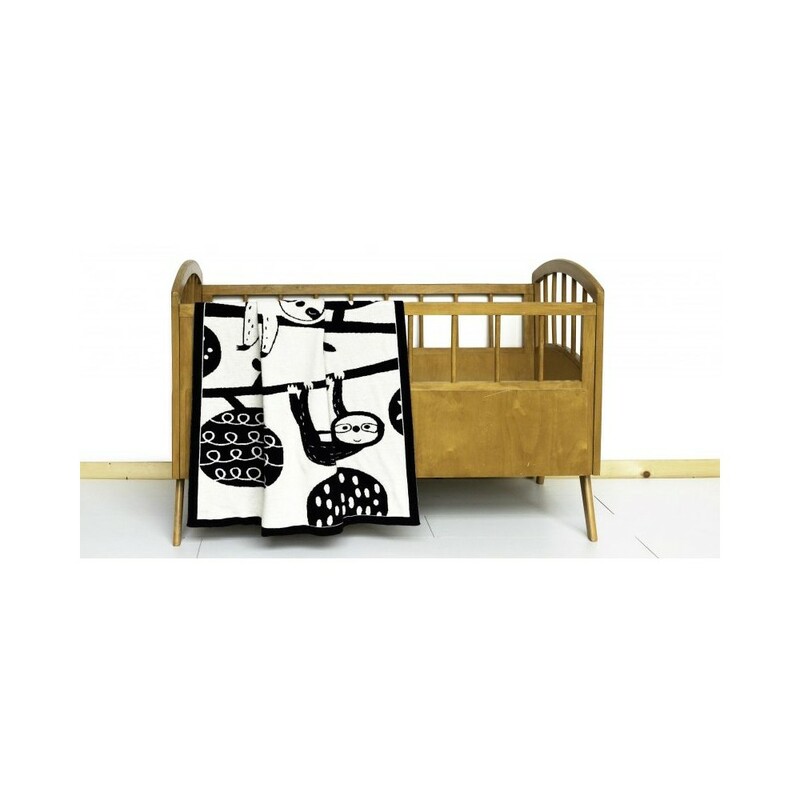 This means that the blanket is made entirely from organic wool that comes from sheep that are well-repellent. All means used to clean the blanket are non-hazardous and the work conditions in the whole process are good. 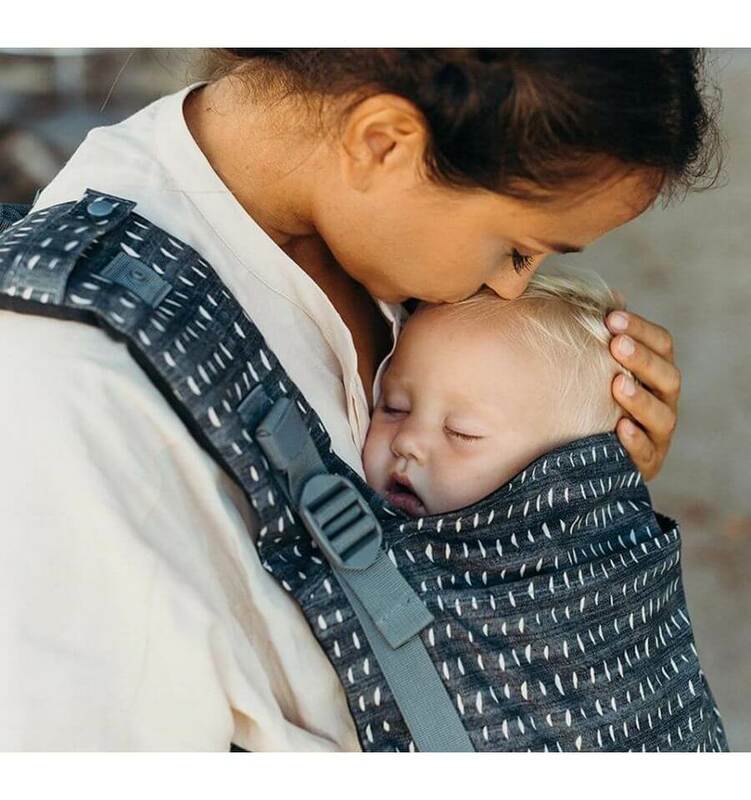 The blanket is therefore safe for your baby and produced responsibly. 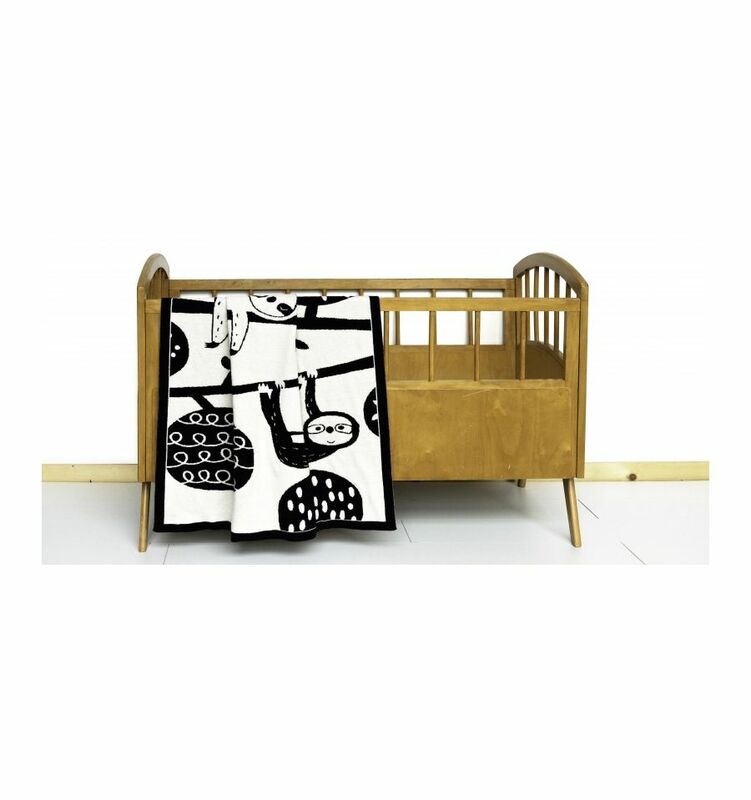 The blanket is slightly wider than the standard blankets because for safety you must put your blanket at least 10 cm under the mattress during lay-out. Even with the somewhat thicker mattresses, this blanket is still wide enough.